It's arrived! It's finally here! My brand new KitchenAid Stand Mixer is really here in my home! And the best thing is that I got it for only USD$239.49 (about RM767) from ebay, thanks to Alan (Btw, retail price in Malaysia is RM2699 if I'm not mistaken). Without him, no one would be kind enough to help me bring back my 12kg baby. Yes, the shipping weight is a freaking 26 pounds (11.7kg)! I got the KitchenAid KSM150PSER Artisan Series 5-Quart model. It has a 325-watt motor, 5 quart stainless steel bowl with ergonomic handle, pouring shield and a tilt-back mixer head design that provides easy access to bowl and beaters. It also includes a Flat Beater, Dough Hook and Wire Whip. The instruction manual comes with recipes too. Well, all I need now is to dig out the transformer and plug it to the adapter (Mindy...*winks!) and I'm now dreaming of whipping up delicious bakes effortlessly! Shu Yin, how bout opening an online bakery? whoa!! jealous!!! does alan wanna bring another one back? haha.. kidding... looking fwd to more baking posts! 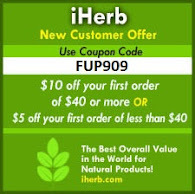 have fun with your new baby! yeaps..will be having a baking spree! juz that i juz told myself to cut down baking bcoz im getting fatter! hey, thanks for the recommendation on the Icecream book. Btw, have you decided yet which ice cream maker you're planning to get? passionate mae....im not too sure yet. still kinda confused after reading many reviews online. but a part in me wants to get the cuisineart though. hehe. I also got mine from US. Yet to get the transformer. BTW, may I know yours is the large heavy transformer(smething like the old PC power regulator) or the small adapter type? The old adapter that I have is the large heavy transformer. May look for a smaller one if there is any. You know where to get the small one? I got mine from CSN stores, a different model, a larger one. 450W, lift bowl,heavy duty. It was $325, I think. My SIL brought it back for me. I've got an adapter type, which says, can be used for kettles and bla bla bla. And it said it could withstand 1000W. But then that small thing don't look convincing and it was quite cheap, my MIL's father bought that adapter from US. So, I better not risk it. Wendy...so u r using the adapter type ur MIL's father bought fr the US? OK. I think I will be seeking for another new transformer. Hopefully will be a smaller one. Can I know how to bring back the Kitchenaid ? Is it wrap n check in n stick the fragile sticker.. It is 11kg is too heavy to hand carry right? Simonne, My fren helped me brought it back fr the States. I bought it online n had it shipped to his hse in US. It was not taxed bcoz my fren was there for 1 yr. The packing was neatly n tightly done, with foam as cushion so could withstand the long flight. I forgot if there was a Fragile sticker on it or not. Yes, 12kg is above the handcarry luggage weight. Out of curiosity, do you have any trouble with the speeds or power when making bread? Did you just buy a transformer out of the shelf and plug the Red Baby in, and it worked? To tell the truth i havent used it for kneading dough yet, if that's what u meant. But ive used it for making other cakes n breads n it's fine n good. I went to the shop n told them my kitchenaid power in watts n they gave me a transformer which could withstand the power. Thanks for sharing information about kitchenAid stand mixers. 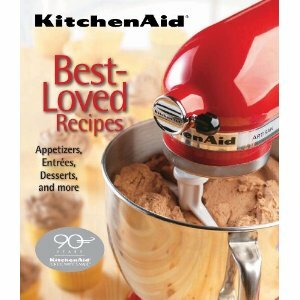 As you have mentioned KitchenAid in Malaysia. I live in Malaysia and want to buy this stand mixer in Malaysia? 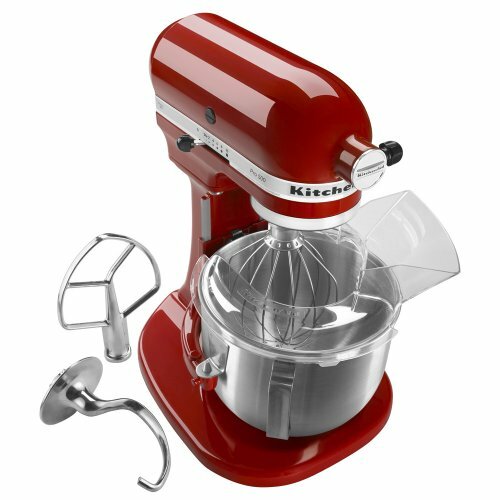 Can you tell me about kitchenaid official website in Malaysia?